Exercise in choosing the correct supplied calculations to convert between improper fractions and mixed numbers. 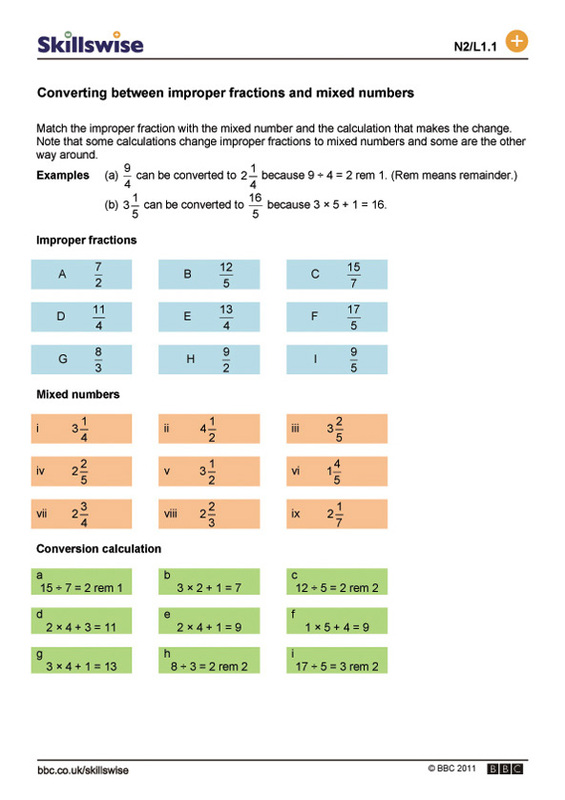 N2/L1.1 Read, write, order and compare in words and figures common fractions and mixed numbers. Review understanding of improper fractions and mixed numbers. Use multiplication and division to express improper fractions as mixed numbers, including expressing remainders as fractions. 15 What are mixed numbers? 2 Are these fractions equivalent to half?